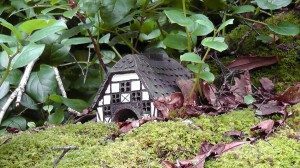 The proximity of St. Patrick’s Day prompted me to offer you some background to the flora that features in the event’s appellation. The tradition of wearing shamrock dates back centuries, and the small, three-leafed (or trefoil) plant is famously a symbol of Irishness. Yet, it’s a bit of a sham because – whisper it! – there is no such thing as ‘shamrock’. There were fanciful linguistic suggestions that the name Shamrock was originally Persian, but the word simply means ‘young clover’ (seamair óg). 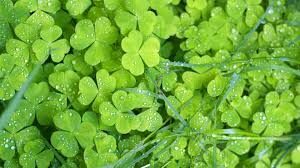 However, three very different clovers grow in Ireland, so which one is it? The small yellow-flowered Trifolium dubium? The larger, white-flowered T. repens? Or the even bigger red-flowered T. pratense? Or something else entirely? Seamsóg is the similarsounding Irish name for wood sorrel (Oxalis acetosella), sometimes known as sourgrass and – here’s a clue – ‘false shamrock’. So, in the 1890s a Dublin naturalist set out to answer the question. Nathaniel Colgan began his detective work by writing to clergymen around the country, and asking for people to send him rooted samples of ‘shamrock’ at St Patrick’s day. According to Dr Matthew Jebb of the National Botanic Gardens, Colgan received dozens of samples, all trefoil plants that looked much the same. Colgan planted the rooted specimens and waited patiently till they flowered in early summer, at which point they could be identified. He found that he had five very different species, all of which were used around the country as shamrock. The timing of St Patrick’s Day in early spring is crucial in this botanical mix-up, according to Dr Jebb, as none of the five species is in flower in March. “With just their leaves they all look the same. Actually, when people see the small yellow clover later in the year, they think it’s such an insignificant flower!” He believes that this explains why Ireland has no national flower, though we do have an (unofficial) national plant. In 1988, a century after Colgan’s detective work, another naturalist repeated his shamrock experiment. Dr Charles Nelson again asked people around the country to send in shamrock specimens. Again, the same five species turned up – even though few people get their shamrock in the wild now, as they would have done in the past. 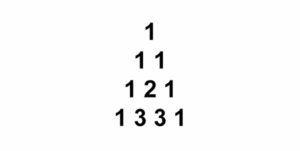 Given his absence from Newsletter 4, you probably hoped that I had forgotten about Pascal – I hadn’t, so here are the ALMOST DIAGONALS of his triangle for you to ponder upon. Back to more relevant subject matter. Tracey Miklaucich is unable to accompany James Mann. He is having to make do with brother, Andrew. 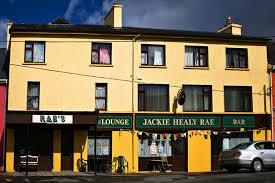 A back tribulation suffered by John has forced the Hickmans to withdraw altogether. 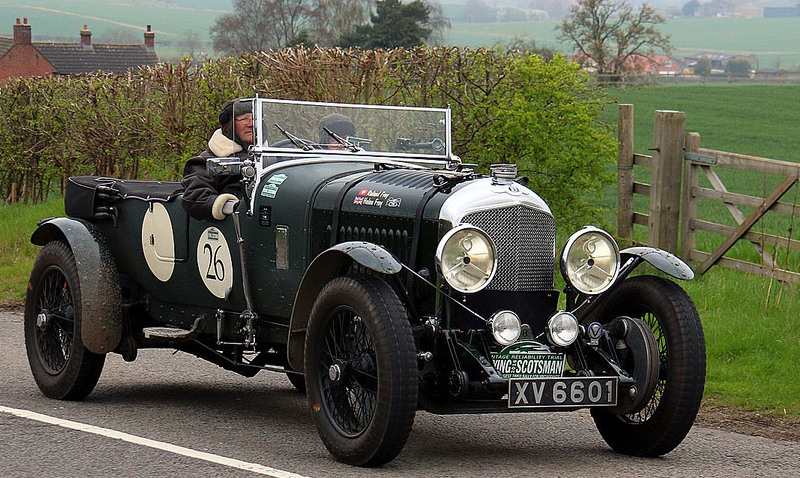 Richard Squire and his son, Michael will be bringing their 1930 Bentley Corsica. This car was rebuilt in 1936 for Forrest Lycett to race at Brooklands. It hasn’t changed substantially since then. 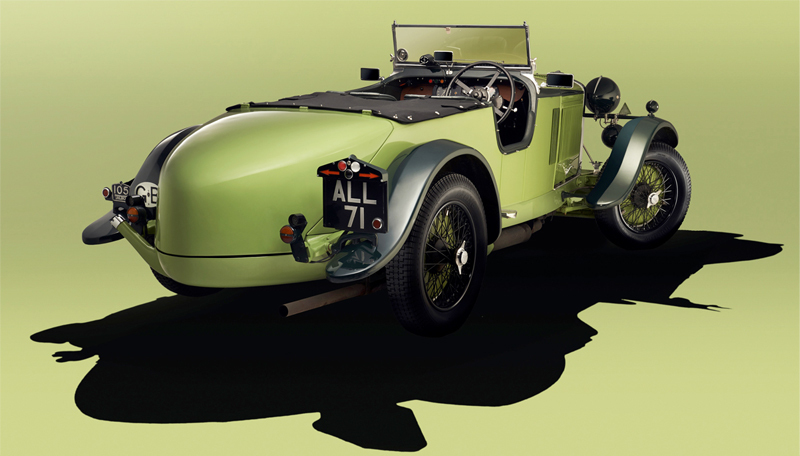 Three new Talbot 105s, registered ‘BGH 21’, ’22 and ’23 were produced by the ‘works’ for the 1934 Alpine Trial. ‘BGH 21’ was allocated to the Wisdoms (Tommy and his wife Elsie), ‘BGH 22’ to Hugh Eaton, and ‘BGH 23’ to Mike Couper. The last of this trio will feature in this year’s “Shamrock” in the Wilfried/Sandra Schaefer respectively. 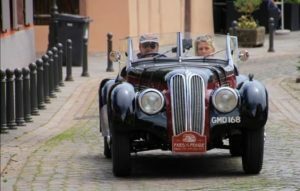 Chris Abrey & Sara Banham have arranged an agricultural ancillary and are coming back for another dose of punishment in their BMW 328. Hoping for a less eventful experience than last year when they won the “against all the odds” award, Michael Kunz & Carolyn Ward will be putting their Dodge to the test. Even more unfortunate last year were David & Jacky Hall – terminal mechanical maladies saw them fail to make it to Ireland – let alone the start. They are looking forward to seeing what they missed. Steven Wilson & Trina Harley are satisfying their Irish inclinations with their second “Shamrock” to add to their previous “Emerald Isle”s. daughter, Emily making a grand entrance. 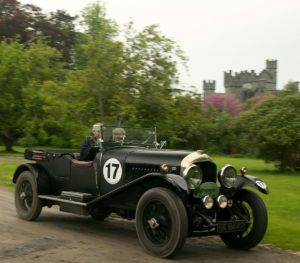 Among the plethora of Talbot 105s are front runners from last year, Nick Ward & Clifford Auld. Is attaching the Rally Plate really a “two man” job? 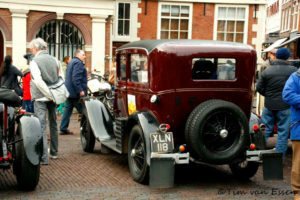 On Hans Kuiper’s entry form he suggests that his Alvis was delivered in 1939 to the Glascow Police Department. I am confused. Does he mean Glasgow and, if so, do they have a “Department? I looked, unsuccessfully for a Glascow in northern mainland Europe that may more credibly have a Police Department. The plot thickens. Andy Bailey will be led by Philippa Spiller in the Triumph Dolomite 6c. His fellow imbiber, Eric Kavanagh will be behind the wheel this time, with son, John “on the maps”. 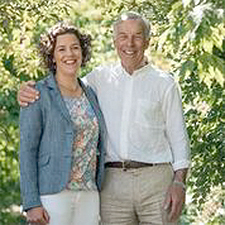 Bill Cleyndert & Jacqui Norman again hope their towrope will fulfil an ornamental role only. 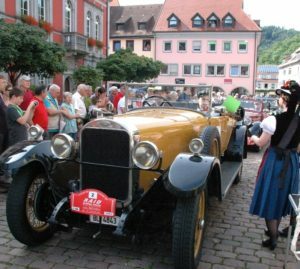 Lorenz Imhof’s Lagonda has been experiencing engine gremlins so he and Adrian Bielser will be enjoying the comforts of a 1937 Ford V8 Coupé. I suggest that sunglasses will be an essential appurtenance for the pair. 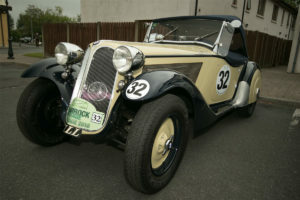 Peter Neuman will have Andrew Hall alongside in, he hopes, his Frazer Nash BMW 328 which is scheduled to be finished a rehabilitation programme in time for the event. This car is one of just 45 RHD imported to the UK. Chassis No. 85301 was the actual car exhibited at the 1939 Earls Court motor show . First owner was Geoffrey Crossley an amateur racer and he sold it in 47 to Gilbert ‘Gillie ” Tyrer a well known privateer racer and car dealer. He had amazing success with the car winning virtually every event he entered. The car was sold in 1949 and ended up in the USA until it returned in 2005 and stayed with its owner until late 2018 when it was acquired by Peter. Sholto Gilbertson-Hart has deferred to his dad, Willie in the driving department. Sholto will be devoting himself to directional duties. 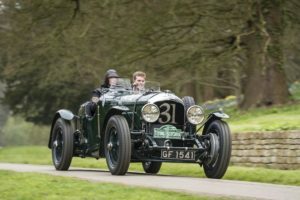 They are bringing a 1928 Bentley 4.5 litre Tourer. David Cook will have the legendary Dave Kirkham in the passenger seat. When I say legendary, I am of an age where essential reading in my youth was Motoring News. Dave, courtesy of his liaison with Mick Briant in the Navigation Road Races Rallies of that era, featured prominently, and regularly, in despatches. I mentioned our “Magee” support in Newsletter 2. This time I would like to acknowledge the backing being provided by Robert Glover, who, much to his chagrin, will not now be able to take part. The good news is that Sholto Gilbertson of Bonhams has managed to locate an homologated pre-war baby seat and will be joining us. We have another benefactor on board for the event. Anthony Tindal with his eponymous Wine Merchants has been persuaded to offer support. M&M have been out and about again. M&M are, of course, C-o-C Michael and his muse, the Machiavellian Mickey. Even though both have sweet temperaments, they are not to be confused with the more usual interpretation of M&M. In 1941, Forrest Mars Sr., of the Mars candy company, struck a deal with Bruce Murrie, son of famed Hershey president William Murrie, to develop a hard-shelled colorful button-shaped chocolates branded as “M&Ms”. After another couple of days in the scenic south west they have identified sufficient test locations and regularity routes to keep you entertained. Indeed, so diligent have they been that some culling may have to be done so as to avoid keeping you up too late! 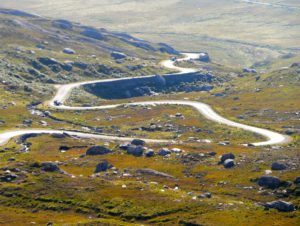 There is a gathering consensus that classic Circuit of Ireland special stages like Borlin and the Tim Healy Pass should be free driving sections. 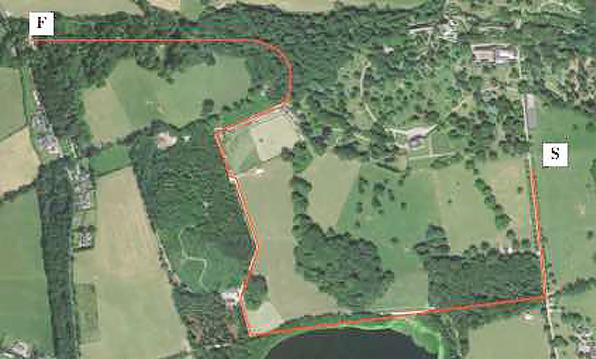 This will give you a choice: meander and enjoy the view or motor on in a bid to emulate the stage rally heroes of yore. A happy medium is recommended. 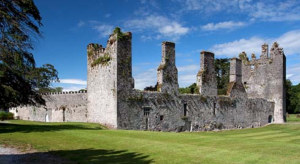 Without revealing too much, there will be tests at Castlemartyr, am and pm. 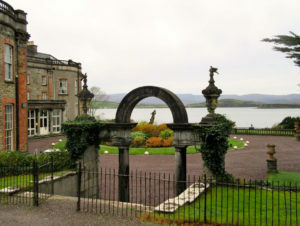 Also, at the stunning Bantry House, where afternoon tea will give you a caffeine boost for the driving challenge. You probably hoped that I might forget about Pascal – I’m sorry to have to disappoint you. Incidentally, the “solution” to the second of the last Newsletter’s posers was compromised by the transition from my pdf submission to whatever arcane “language” our web guru employs. 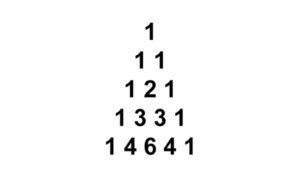 The “20 21 22 23 24 25” ought to have appeared as “20 21 22 23 24 25”. The first revelation this time is mundane, I will concede. 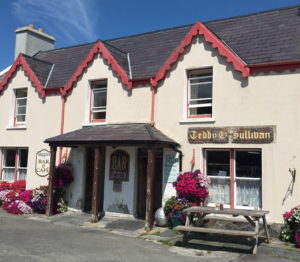 Paul and Georgiana Keane’s fabulous Inish Beg will also be on the agenda. Just to keep you guessing and maybe inspiring some of the more enthusiastic navigators to do some detective work, below are two images which might be relevant to proceedings.The Entry List is now full. 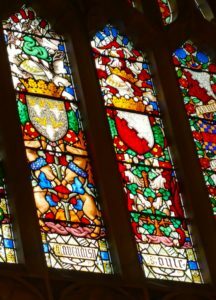 If any casual readers of this epistle are keen to compete, there is a Reserve List to which your name can be added on receipt of a completed Entry Form. The C-o-C has been shopping recently. He has acquired a robotic vacuum cleaner so he can spend more time getting everything right for you without compromising domestic hygiene standards – these are as lofty as all of his other norms. As with most, if not all panaceas, there is a side-effect. The machine demands that Michael’s wifi is exclusively at its beck and call while working. So, if attempts to contact Michael are fitful, you can rest assured that his and Mary’s house is spotless. PS The dogs are not too impressed with with the newcomer. A few of you have apprised us of “Dietary Requirements”. I would like to remind you, I suspect unnecessarily for the informed imbibers amongst you – a majority? – that whisky is “Scotch” and whiskEy is “Irish”. You may have noticed that our Supreme Leader, Shane isn’t mentioned much in dispatches. This is not because his input is less worthy than others. 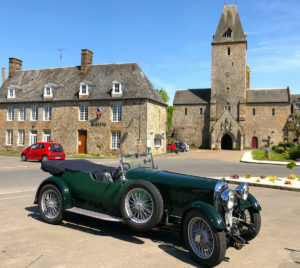 Rather it is because of its ephemeral nature – it is difficult to write about “encouraging” exchanges with prospective competitors and establishing fruitful connections with memorable places to visit. His contribution, no less than the other principals, is invaluable. Once again, I have some traveling companion snippets for your edification. 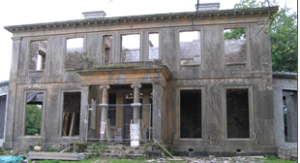 John Hickman is a semi-retired chartered surveyor and property developer, once a developer. 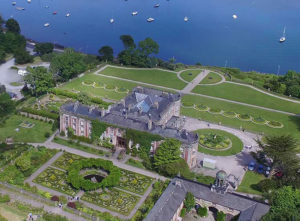 His wife, Catherine, is an historian as well as keen mother and grandmother. John enjoys other vintage and veteran cars. 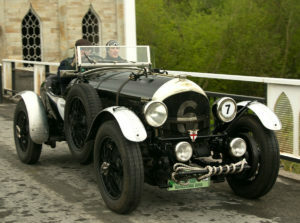 The Bentley has no history of importance but runs jolly nicely! 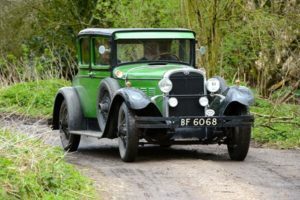 The Rakers’ Ford Model A has taken part in the 2010 Peking-Paris, 2013 Buenos Aires-Ushuaia, Paris-Madrid, Paris-Vienna and the Tourais Irish rally. 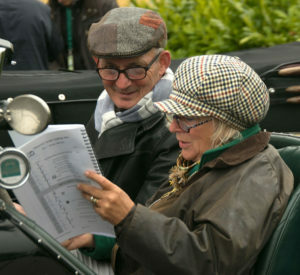 John & Melinda, when rallying, are usually in the picnic basket/gardening category although Betty Ford was second to a Bugatti on the speed tests on the Tourais rally and fourth in the Benjafield Bentley Stubble Racing Day. TD 8966 is an original bodied car from 1933. Built by McKenzies, it raced at Brighton, Donington and the RAC Rally in 1939. It has a D-type box from the first original Blower Bentley. It was restored in 2018 by William Medcalf. 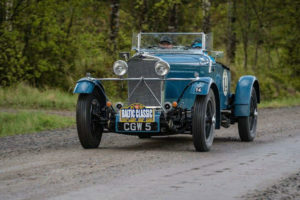 The Goodwins have competed in many rallies including the Flying Scotsman, 1000 Mile Trial, Rally of the Incas, the Baltic Classic and the Himalayan Challenge. 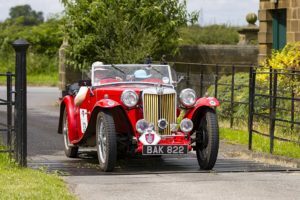 Vincent Fairclough has competed in his MG TC on many rallies since 1993 including the Peking to Paris, Rally of the Incas, Monte Carlos, Le Jogs, Winter Trials etc. Vicky has been navigating since 1998 on Classic Marathons, Liege-Rome-Liege, Flying Scotsman etc. 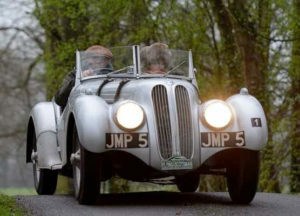 Detlef Heyer’s Frazer Nash-BMW was built in September/October 1938 and delivered to A.F.N. Limited, Falcon Works in London. 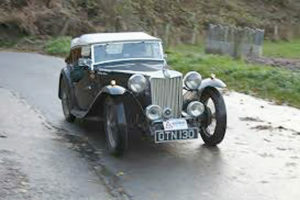 It was first registered in November 1938 to Mr C.B. Cave of Warwickshire. According to the records of John Giles, the UK BMW specialist, there were only 19 FNBMW 327/28 Coupes ever built – only 9 still exist. This particular car was used after WW2 for Hillclimbs and Speed Trials in the UK. Detlef bought the car in 2012 from J.R. Stokes in Ipswich who had owned the car for the previous 24 years. In 2013 Fa. Feieraben, Wuerzburg, Germany did a full overhaul. Since then it has performed well in many international rallies. 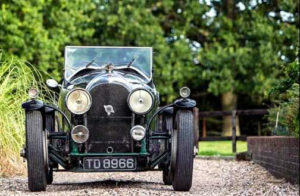 Roland & Helen Frey have discovered logistical hurdles since the last Newsletter and will now be bringing their 1931 Lagonda 3-litre. It is great to have the full complement of Bolands back again. In Talbot AV105s are Andrew & Ann, pictured above (courtesy of Gerard Brown), Anthony & Orla and Jim & Mary. 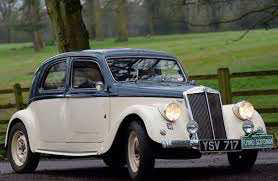 Diarmaid & Fiona will be in a Talbot 110. This information was translated aus Deutsch by my son’s brother-in-law, Carsten. As you will have realised from Newsletter 1, following the success of the inaugural “Shamrock”, the team responsible was sufficiently encouraged to stay on board for 2019. It now considers itself to be a reasonably well-oiled machine and, as such, there is very little of significance to report on herein. Consequently, I need to deviate in order to provide you with something to peruse. 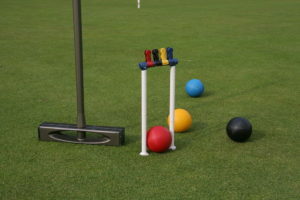 In one of the early Newsletters during the run-up to last year’s event I was confronted with a dilemma. I can’t remember what this was but I did avail of the mathematical interpretation of “dilemma” to digress into lemmas and corollaries. Not being possessed of a great imagination I have decided that my space filler, totally unjustified this time, will be another mathematical excursion. 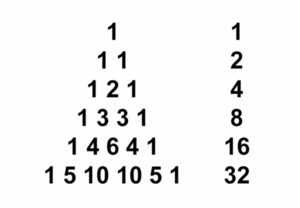 In a nod to our even more cosmopolitan than last year competitors I propose to expose you to some of the delights of Pascal’s Triangle. Blaise Pascal was a 17th century French mathematician/physicist. Such was his contribution to the understanding of fluids that the SI unit of pressure is named after him. 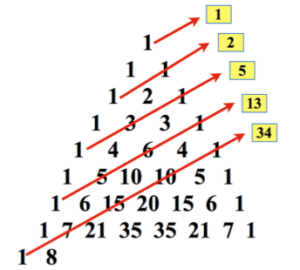 He is also commemorated for his mathematical exploits, courtesy of the above-mentioned eponymous triangle. 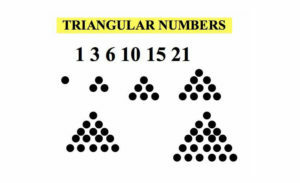 The triangle, a modest example of which is shown to the right can grow as big as you wish to make it. Back to more germane news. The two Michaels, Mick and Mickey – or Jackson & Gabbett, depending on your disposition, have been doing some resolute recceing. Regularity sections to rouse you in a route to delight you have been provisionally established. This section of road will definitely be included. Those masochists among you who enjoy exploring courtesy of Google Street View might like to go looking for it to seek out some perceived advantage on the event. 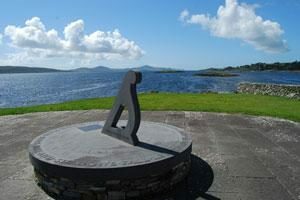 It is in either Co. Cork or Co. Kerry. 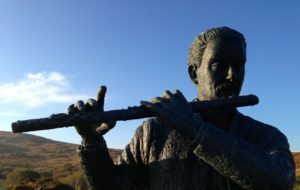 Another landmark which you will encounter on your travels is what remains of the Allihies Copper Mine. Mining was started here in 1812 by John Puxley, a local landlord. Initial mining began with a tunnel or adit driven into the quartz lode from the beach below. In 1821 two shafts were sunk. 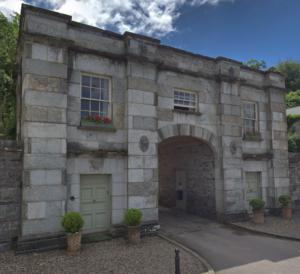 Flooding was a continuous problem and in 1823 the engine house was erected to house a steam engine brought over from Cornwall to pump water from the depths. 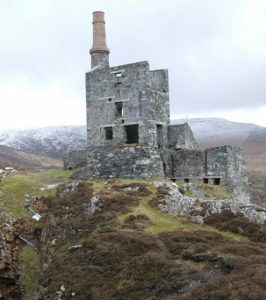 The remains of this building with the base of the chimney can be seen in the photo. There is also evidence of a steam powered stamp engine to the left of the chimney and dressing floors in front of the engine house. All the rubble on the cliff at the sea side of the road is the crushed useless quartz rock left over after the copper was extracted. 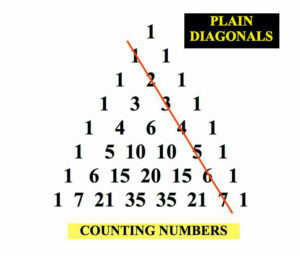 Now add up the numbers in each line. 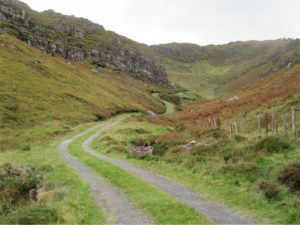 This is one of six productive mines in the Allihies area and continued its operation until 1838 when it closed due to failing ore. John Puxley died in 1860 and in 1868 his son, Henry sold the mines to the new Berehaven Mining Company who reopened the mine and installed a new 22 inch steam engine in 1872. Little ore was produced though in this period and the mine was finally abandoned in 1878. 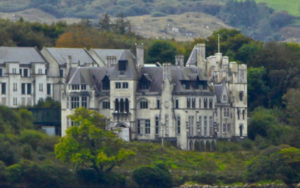 Those of you of a literary bent will be more interested to learn that Daphne du Maurier lived on the Beara Peninsula for a while. During this period she wrote “Hungry Hill” which follows the fortunes of a tin mining family in Cornwall. 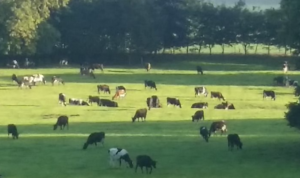 This was based on the Huxleys and there is a “Hungry Hill” in the vicinity. Potential pitstop and test venues continue to be evaluated. Those of you who appreciate timeless elegance – I suspect most of you, given your stylish steeds – will be pleased that “Magee” are once again offering support. The shy, retiring Rosy, who joined us at the Awards Dinner in May this year, will be weaving away between now and next May. As you can see from the photograph, her dad, Lynn, is of a similar disposition. The location is Salthill Pier adjacent to the family home in Mountcharles, Donegal. 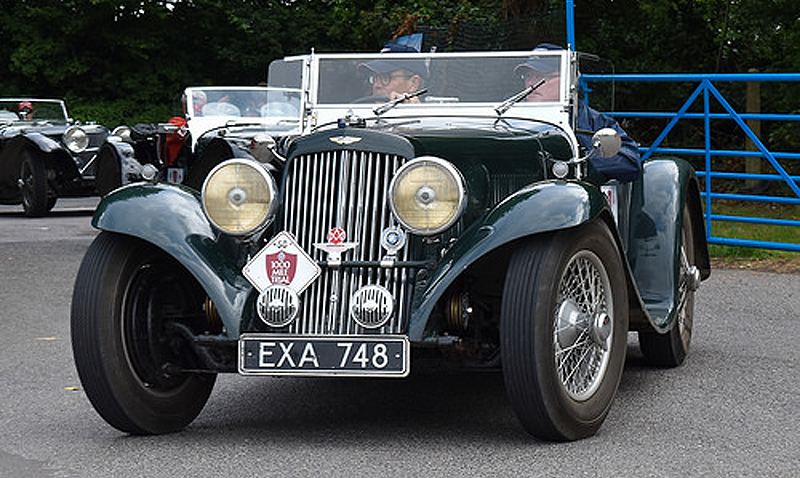 This Lagonda M45 tourer was registered by T.C. (Conrad) Mann on 7th February 1934. 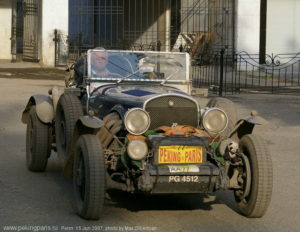 He was a regular competitor in the big pre-war rallies and AXD56 competed in the 134 and 1935 RAC rallies. He achieved a gold award in 1935. 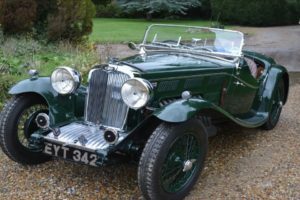 He also was placed 60th overall in the 1936 Monte Carlo rally, having had an “off” in deep snow in Scotland with his brother at the wheel, and suffered some mechanical problems. He and his brother, Cig, started in John O’Groats. The Lagonda M45 was introduced in 1933 and was the largest sports car made in England at the time. This Meadows-engined (4.5l) tourer is a rare one-familyfrom- new car bought by the aforementioned Conrad who specially ordered the vehicle to be fitted with the earlier 3-litre type of body (T5) rather than the one normally fitted to the 4.5-litre chassis (T7) as it gave more space and comfort when rallying. 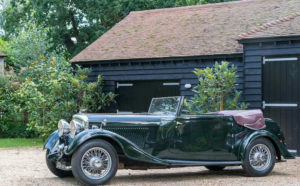 It is believed that Lagonda made three M45 tourers with the T5 body, but the other two are not thought to exist any more. Conrad used Josephine as his everyday transport to and from the Albion Brewery in London which was his place of work from 1946-72, but did not take part in any more rallies. Josephine was given to James and Andrew’s father, Richard, in 1988 and had by then covered 331,000 miles. It was now in need of a running restoration and this gradual process took about 10 years to get the car into good driving condition. 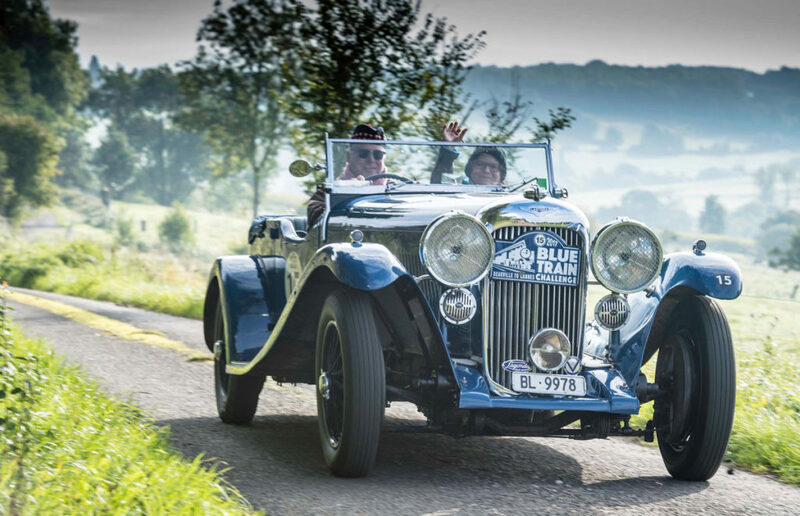 One objective was to re-enact the Rally of 1936 and once again drive her to Monte Carlo, which was achieved in 1998 in the CRA Monte Carlo Challenge. The Monte Carlo Classique (2016) has given James and Andrew the opportunity to re-enact the John O’Groats start 80 years later. Josephine has been used very regularly in rallies and tours over the last 20 years. James and Andrew competed in her on the first Shamrock Vintage Challenge in 2018 which was a wonderful introduction to Irish hospitality. Josephine has covered over 9000 miles in 2018. 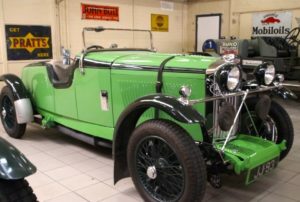 This wonderful car has now covered 435,000 miles, has a top speed of over 90 mph and was 89 years old on 7th February 2014 – a superb example of British engineering in the 1930s. 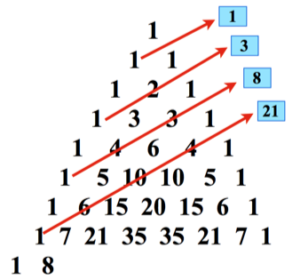 1, 2, 4, 8 ,16, 32 aren’t just a random set of numbers. The Entry List is filling up steadily. For those of you reading this who are not yet on the list and wish not to be disappointed, prevaricate no longer – swing into action NOW. Below you will find a few more of the cars that will be complementing the beautiful south-west of Ireland in May. You can look forward to more Pascalian revelations like those on the right in the next Newsletter! 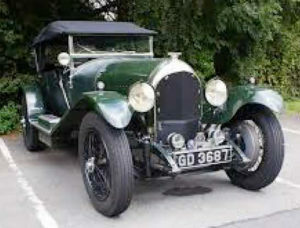 has been fully restored by marque specialist, Ian Polson. It’s been such a long time since I have been in touch that the contents of my inkwell had evaporated. Fortunately, there was a residue which, when refreshed with some water, has enabled me to string a few words together. To what end I’m not sure – I suppose some reassurance that arrangements for the Shamrock are evolving is welcome. This presumes, of course, that what follows is non-fiction. The most important development since we last met is that Mickey Gabbett is now a grandfather. Kitty Delaney Gabbett emerged in August. Others in the organising team have had interventions to improve their functionality – I will spare you the gory details – suffice it to say that your needs will be catered for in an even more efficient manner than they were in 2018. Speaking of needs, this year’s accommodation arrangements are first-class. 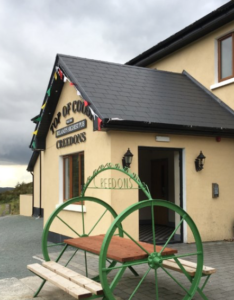 The Sheen Falls Lodge is a superb hotel which is sufficiently bijou for there to be no guests other than those associated with the Shamrock Vintage Challenge. 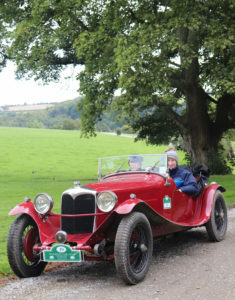 As I write, our leader, Shane Houlihan & Zuzana are enjoying a fortnight touring Ireland’s perimeter in Shane’s 1929 Blower Bentley He is in the company of five other like-minded and similarly mounted couples. I suspect that he might be wandering off-piste occasionally to explore potential routes/destinations – not only for the 2019 event, but for future iterations as well. 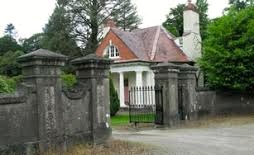 All is fluid at the moment regarding tests/ regularities but I can reveal that you will be visiting Blarney Castle for a test in the grounds. 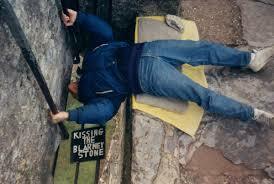 I’m sure a kiss of the Blarney Stone can be arranged as well if you are sure your immune system is up to it. In deference to the 2018 post-event questionnaire “stately home” visits will be more cursory this time. Also, there will be no “joker” facility for the regularities. The territory available for these latter in this part of the world is fabulous. When the Circuit of Ireland Rally was in its prime, special stages across the Tim Healy Pass and through Ballaghbeama Gap (sheep not guaranteed) amongst many others, were legendary. Maybe we might allow you to drive over some of these at your own pace and use more mundane byways for regularity purposes. It is great to see so many of you coming back for more and, of course, those of you who will be Shamrockly challenged for the first time. We are grateful to those of you who have responded to the “Background Box” on the entry form. Some of the information from there is presented here. 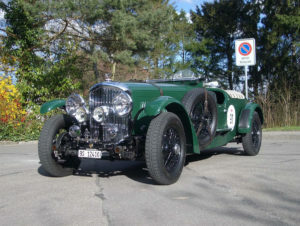 The Rito Mebes/Hans Jürgen Benze 1934 Bentley Derby has had three owners since new. It boasts a rally history too extensive to include here and carries its original registration number. 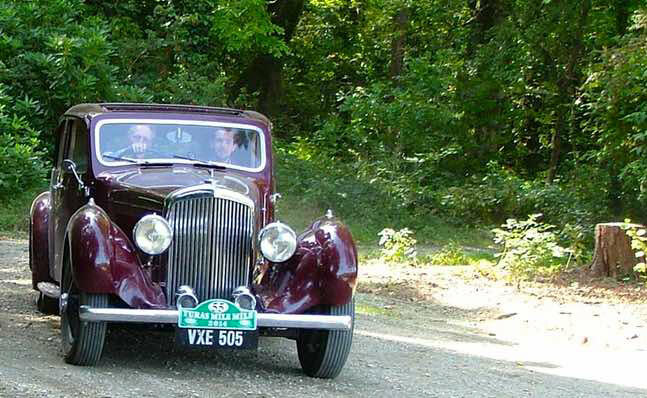 Graham & Marina Goodwin’s Bentley Corsica is an original bodied car from 1933, built by McKenzies. 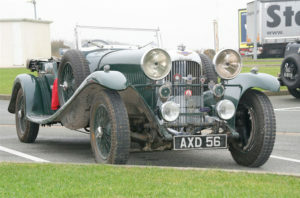 It raced at Brighton, Donington and took part in the RAC rally in 1939. 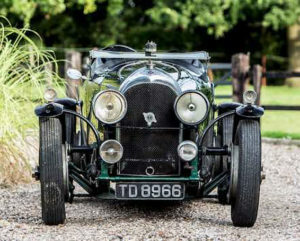 It features a D-type gearbox from the first original Blower Bentley. It was restored this year by William Medcalf. The Goodwins are seasoned competitors. They have taken part in the Flying Scotsman, the 1000 Mile Trial, the Rally of the Incas, the Baltic Classic and the Himalayan Challenge. 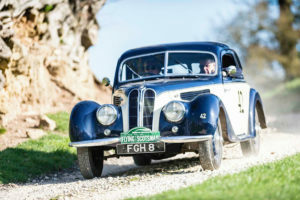 Gavin & Diana Henderson’s Fraser Nash BMW 328 was one of the first five to be imported into England in 1939 by Fraser Nash who were the exclusive dealers for BMW in England. It was purchased by A.F.P. Fane, a then well-known celebrity racing driver and aviator. In 1938, driving for BMW, he won his class on the Mille Miglia. He also raced it at Brooklands, Crystal Palace, Shelsley Walsh and other venues. 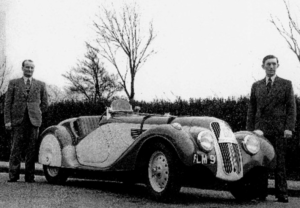 Fane won the RAC Rally in 1939 in JMP 5. 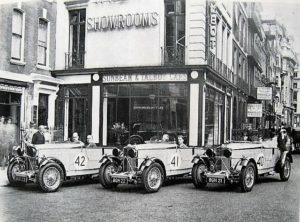 The Hendersons have competed in the Mille Miglia, the Goodyear Revival, the Hampton Court Royal Concours as well as four Flying Scotsmans (Scotsmen?) and an Alpine Trial. In another rally car, they have competed in a trans-America rally, an Inca rally, an African Safari and a Sahara Challenge, as well as a number of shorter events. 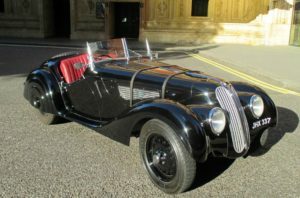 Irvine Laidlaw’s BMW 319/1 Roadster was sold in 1935 in Munich and taxed for road use until 1938, by which time the registration document was stamped with swastikas. Little is known of the car’s history other than that it was in Cologne in 1949. 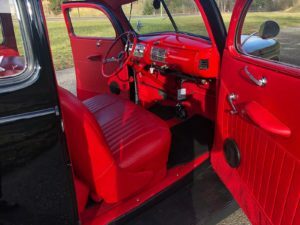 Rescued from partially dismantled and poor storage conditions in the 1990s it was totally restored by dedicated enthusiasts using a mainly new wood frame and all original body panels. Little used until bought by Irvine from a German dealer in 2014, it is just one of 178 examples of the 319/1 Roadster built. Irvine came second in the 2018 Shamrock. He is hoping that Tony Davies will help him to go one better in 2019! 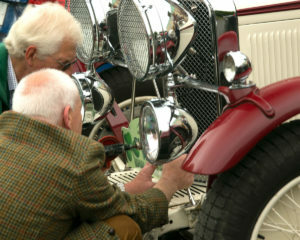 Fred Gallagher and Neil Oatley will be bringing a 1939 Lancia Aprilia. 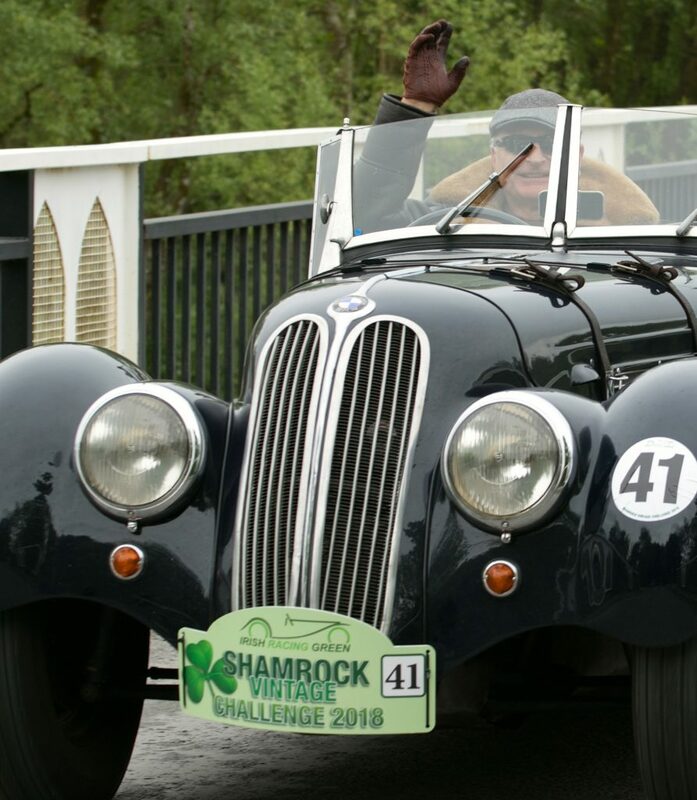 Whatever about the car, the Shamrock Vintage Challenge 2019 occupants certainly have formidable motorsport pedigrees. Fred was a co-driver for nearly all of the WRC/ERC/Cross-Country factory teams from the mid-70s till the late-90s. Neil worked for 30 years at McLaren in various capacities including engineer to Senna and Prost, Chief Designer from 1989 until 2003 when he became Executive Director of Engineering was race engineer to Senna and Prost.